In late 2017, local realtor Steve Peippo started noticing something exceptional was going on in Ottawa’s residential rental market. Prospective tenants competing for rental properties were offering more than the listed price, or offering longer rental terms — anything to gain an advantage. Only a few months prior, a federal government report found that Ottawa landlords were raising rents in response to tight rental market conditions. Peippo had a front row seat to the shifting market. He said he would contact landlords to offer his real estate services, only to be told they were doing just fine, thank you, having received more than 100 viewing requests in a matter of days after listing a rental property on Kijiji. “It’s almost more challenging to find a rental than it is to find a purchase. And I’ve seen people get quite desperate,” Peippo said. His experience isn’t isolated — an amalgamation of data compiled by this newspaper suggests Ottawa’s residential rental market has recently become red-hot, with demand and prices ballooning and vacancies increasingly scarce. Because recent statistics on the local rental market are piecemeal — with different stakeholders and authorities assessing swaths of the market at varying standards of rigour — this newspaper gathered and compared numbers from multiple sources. Taken together, the data suggest that in 2018, a rental market that was once tight has become suffocating. Peippo, a sales representative with Ottawa boutique real estate brokerage Blue Panda Realty, works with a handful of rental clients on a monthly basis. After observing surging rental-asking prices and cutthroat competition for units, he decided to undertake some ad hoc quantitative analysis to see if this trend had empirical backing. After pulling all MLS listings for two-bedroom, one-parking spot residential rentals in Ottawa for May in 2017 and 2018, he found the average rental “sold” price jumped 14 percent, from $1,739 to $2,018. Year-over-year rent increases for the same category of listing jumped only five percent from 2015 to 2016, and two percent from 2016 to 2017. The sample sizes he was working from were quite small — fewer than 100 properties in each — and units listed on MLS tend toward the higher-price end of the rental spectrum, according to Peippo, so this newspaper reached out to some larger players on the real estate scene. The voice of authority on the subject of rental market data across the country is the Canada Mortgage and Housing Corporation’s Rental Market Report, published every fall. Unfortunately, that means its 2018 numbers won’t be available for a few months yet. In its 2017 report, CMHC found a vacancy rate of 1.7 percent for rental apartments in Ottawa, down from three percent in 2016 and the tightest in six years. The average rent for a two-bedroom apartment was $1,232, up from $1,200 the previous year. Among two-bedroom rental townhouses and condos, of which there are far fewer than rental apartments, the average two-bedroom rents in 2017 were $1,209 and $1,566, respectively. “In general, tighter rental market conditions this year encouraged landlords to increase rents,” the report found. CMHC captures rents charged for vacant, available and occupied units, and the latter are protected by annual rental increase rules. Rental listing websites, on the other hand, only capture units on the open market — an occasion where landlords can adjust rents to reflect the demands of the market. According to PadMapper, the median price of a two-bedroom rental in Ottawa in June 2018 was $1,500 monthly, up 15 percent from the year before and three percent from May. The reason there’s a difference in prices between CMHC and a rental listing website like PadMapper, is that CMHC’s average rent calculation is influenced by a large number of units in its survey that are subject to rent control — a provincial policy that (mostly) prevents landlords of private rental units from drastically increasing a tenant’s rent year over year. In Ottawa-Gatineau, online classified behemoth Kijiji Canada found that the average rental price — drawn from a room, apartment and condo, and house rental listings — jumped seven percent between June 2017 and June 2018, compared to a prior year-over-year increase of three percent. In the same period, the number of Ottawa-Gatineau rental “wanted” ads on Kijiji increased by 17 percent — a significant turnaround from a previous year-over-year decline. “We do see activity on Kijiji as a barometer for what’s happening in the Canadian real estate industry,” said Greg Abramowitz, head of real estate and jobs at Kijiji Canada. While it’s one thing to pinpoint a market trend, it’s another entirely to explain the factors precipitating it — but industry observers and stakeholders have some theories. According to CMHC, as of October 2017, most of the 62,011 apartments built to be rented in Ottawa were constructed before 1980 — nearly 53,000. (CMHC’s definition of “rental apartment” means one of at least three units in a privately-initiated structure, in which at least one unit isn’t ground-oriented.) The remaining minority — 9,115 units, or less than 15 percent — were built in the years since. “Rent control has made it economically challenging for developers to construct rental housing,” said Dave Wallace, a chief operating officer of The Regional Group, a local real estate investment, development and management firm. The Ontario government introduced rent control more than 40 years ago. In 1992, rules were eased to exempt units built after 1991, but rental builds didn’t accelerate as much as hoped for in the following decades. Even if a building wasn’t subject to rent control (as all have become since the spring of 2017 when the former Liberal provincial government closed the 1991 loophole), there are other factors that have made rental construction a less appealing avenue for developers, according to sources consulted by this newspaper. Ottawa Real Estate Board president Ralph Shaw said owners in the rental market are constrained in their ability to protect their investments. For example, rental landlords cannot prohibit pets or charge a damage deposit, he pointed out. Legally, evicting bad tenants can be an arduous process. The looming legalization of cannabis presents another challenge for rental landlords — it’s not entirely clear whether they’ll be able to prohibit smoking or growing in units with existing leases. “It doesn’t encourage you to invest your money in a building that you may have absolutely no control over,” Shaw said. And in a vicious chicken-and-egg cycle, the dearth of new rental construction projects likely caused many developers to be wary of entering that market for a long time, said Kevin McMahon, president of local research and consulting firm Urban Logic. “There were very few case studies in Ottawa and limited data to support the investment,” he said. Pair lagging supply with increasing demand, and you’ve got a rental housing crunch on your hands. The demand for rentals in Ottawa is, in part, being fuelled by a strong economy, high employment rates and a growing population. CMHC found the average two-bedroom apartment rents in Vancouver and Toronto in 2017 were $1,552 and $1,404, respectively — that’s $320 and $172 more than Ottawa’s average. According to the City of Ottawa’s recently released annual development report, Ottawa-Gatineau saw net migration increase by more than 30 percent in 2016-17 compared to the previous year, the highest year-over-year increase of Canada’s six major centres. More recently, Ontario saw a net increase of nearly 35,000 people in the first quarter of 2018 due to international and inter-provincial migration, nearly double that of the first quarter increase in 2017, according to The Canadian Real Estate Association, drawing on Statistics Canada data. “Immigration gives an added boost to housing demand particularly for rental accommodation since immigrants tend to rent in the first five years since migration,” CMHC noted. Another driver of housing demand is employment. Statistics Canada found the Ontario part of Ottawa-Gatineau’s seasonally adjusted unemployment rate was 4.3 percent in June 2018, down from six percent in June 2017 and 6.5 percent in June 2016. The population of the labour force grew by more than 32,000 from June 2016 to June 2018. Reported trends among Ottawa’s youngest and oldest renters may also be driving demand. In a city with multiple post-secondary options, students have always been a force on the rental scene. But realtor Peippo said he’s observed a recent uptick in the number of them — particularly international students — on the rental hunt as of late. According to Carleton University spokesman Steven Reid, the number of on-campus student housing units has remained static at 3,616 for a number of years. Meanwhile, the school’s overall and international student population grew by 12 percent and 46 percent, respectively, between 2012 and 2017. Pia Schickling is an international student from Germany, who is moving to Ottawa to study at Carleton this autumn. Initially, she was looking to stay in residence on campus but found herself on the waitlist — which should reach about 300 names by August, according to Reid. The University of Ottawa’s waitlist sat at 500 in mid-July. With a $900 budget, Schickling then turned to a Facebook rental group in the hopes of finding a room in a shared apartment or house near the university. “If you get contacted by someone, you have to be really fast because there are so many people trying to find a place to live,” she said. A similar sentiment could well be on the minds of prospective renters several decades Schickling’s senior — but frequently, they’re joining the Ottawa rental market with significantly higher budgets and expectations. 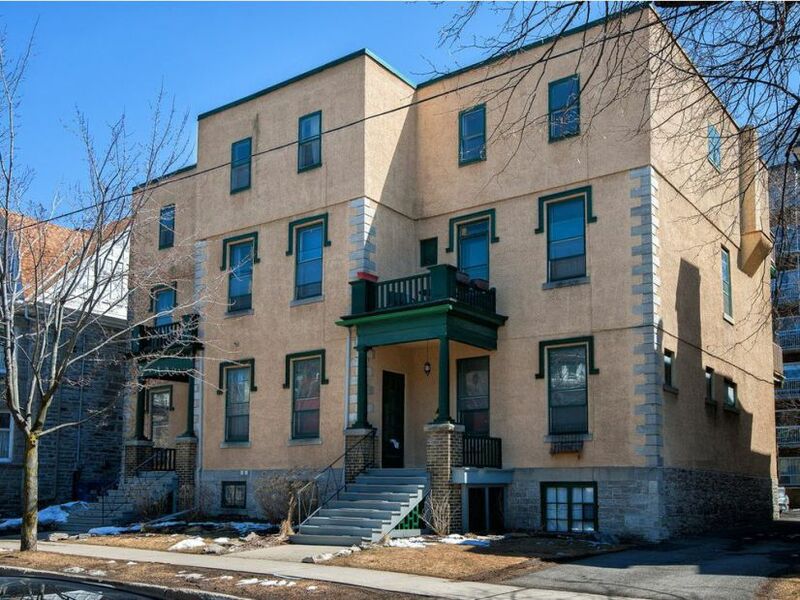 With the strength of the seller’s market right now, Peippo said these senior Ottawans may choose to rent something higher-end, and use the remaining capital for travel or investment rather than a smaller home or condo purchase. It also appears many young adults are choosing to stay in the rental market rather than buy. Some by choice, others by necessity. Census data show that from 2011 to 2016, the number of people aged 25 to 34 who identified as the primary renter of a property increased by 14 percent, while the number of people who identified as the primary owner of a property shrank by nine percent. Changes to mortgage qualification rules have barred others from entry into the home ownership market. As of Jan. 1, all new home buyers have to pass a “stress test” to prove they can afford to make their payments if interest rates were to increase. According to Royal LePage, the average Canadian born between 1987 and 1993 saw their purchasing power drop by about 16.5 percent after the introduction of the new stress test. “You have people who have been living in Ottawa and who have been trying to save up for a house and next thing you know, the mortgage rules slightly shift and their buying power gets tightened,” Peippo said. While the recent spike in demand has made rentals a more enticing avenue for developers, new units cannot be created overnight. “You’ve got a lot of developers that are in the process of creating new rental housing for people to live in … but it takes two, three, four years for those buildings to come from the drawing board to fruition,” Wallace pointed out. Currently, there are only a handful of large-scale rental projects in various stages of “lease-up” — from doors open to full occupancy — according to McMahon. These included Lépine’s Les Terrasses Francesca in Overbrook, Bayview Hospitality Group’s Residences at Kanata Lakes, and 1140 Wellington by Tamarack Homes. The last development was initially a condo project that was reworked into a rental building — not an uncommon phenomenon in Ottawa, where the condo market became saturated with units a few years ago, and the rental market began to look increasingly appealing for developers. But those behind condo-conversion projects aren’t the only ones who went with the tide of surging rental demand. When it comes to the supply of rental units, a tipping point is coming, according to McMahon and other industry observers. “We currently have 19 buildings, large-scale buildings in various stages of construction and occupancy,” he said. Once completed, they’ll add 3,200 units to the market. Longer term, there are probably about 10,000 rental units in the pipeline, according to McMahon. As for whether the market will be flooded with a surfeit of supply it’s unable to absorb, McMahon said he’s not worried. The projects are dispersed across the city, and the timeline at which they come to market can be staggered over 10 or 15 years, depending on the future growth of demand. But while the impending arrival of more stock may come as a relief to some, many new units will only be accessible to those who can pay high monthly rents. A one-bedroom apartment at 1140 Wellington starts at $1,550 monthly. At Les Terrasses Francesca, it’s $1,950. Based on the oft-cited principle that one shouldn’t spend more than 30 percent of their monthly income on rent, a household would have to bring in more than $5,000 every month or $60,000 every year to afford to live in the less expensive of the two buildings. “With construction prices the way that they are today, you can’t practically build affordable rental housing,” McMahon said — at least without some kind of incentive. In the last two years, the not-for-profit Housing Help agency has seen a 28 percent increase in the number of people accessing its services, which include helping clients find affordable rental housing. “Even people that are moderate income are having challenges finding spaces, even working minimum wage or jobs because the average rents are so high,” said executive director Shea Kiely. VanBuskirk said recent demand for rental housing in the private sector has resulted in less interest from landlords to participate in the city’s rent supplement program. Through contracts with private landlords, the city’s program secures units in private rental buildings and pays the difference between “negotiated market rent” and the rent-geared-to-income that the household is responsible for, according to the city’s website. And in sectors of the city with low vacancy rates, the availability of affordable housing is a real issue. Coun. David Chernushenko’s ward is home to Old Ottawa South and the Glebe, two neighbourhoods that jointly had the lowest vacancy rate in the city — 0.2 percent — and some of the highest average rents, according to CMHC’s 2017 rental market report. “The desire to live there just keeps increasing,” Chernushenko said. While this might seem like a good problem to have, it’s also leading to low-grade infill development — “they’re really just trying to maximize the number of units, and they’re not very … pleasant places to live” — as well as the pricing out of lower-income Ottawans from the neighbourhood. “Then it’s a loss to the community, so we do have to find a way to make more rentals and affordable rentals available,” Chernushenko said. Chernushenko said he would like to see councillors negotiate land-use planning exceptions with developers on the condition that they agree to include in their project some affordable rental housing. This happened recently when the city council approved zoning and official plan changes to allow for a nine-storey rental building on Wellington Street West after the developer agreed to include two affordable housing units. “I think that’s a fair trade-off, that’s not too much big brother of government,” he said. But what about those across the city who earn enough money that they don’t qualify for affordable housing as defined by the city, but not enough that they can afford to pay top dollar for a new, luxury rental? There are everyday Ottawans across the city who fall into that category — flagging ads on Kijiji, working with realtors, posting on social media — struggling to find safe, secure rental housing of reasonable quality within their budget. For these individuals, Peippo had some pragmatic, albeit bleak, advice.